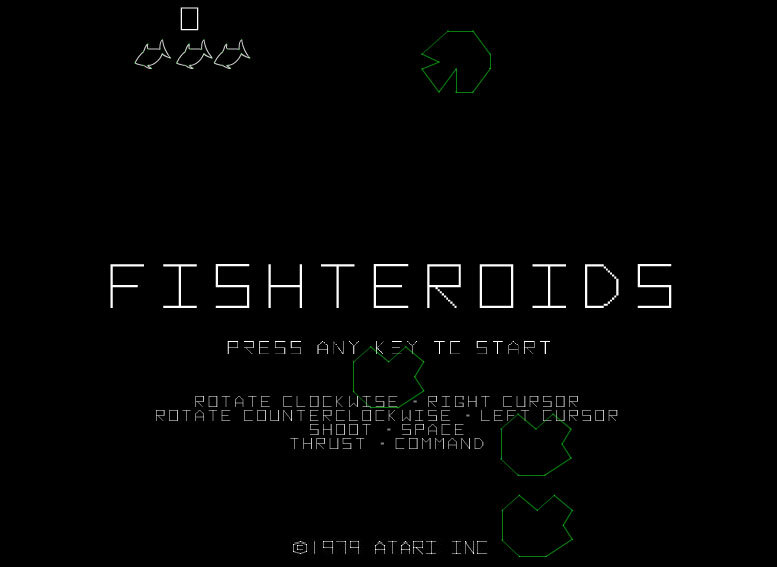 An homage to the original 1979 Atari classic Asteroids, Fishteroids! was an in-house lesson to relearn geometry, vectors, and collision detection. Fishteroids! pits you as the indomitable Mr. Fish against an ever-increasing field of asteroids that split into ever-smaller and more numerous rocky offspring. Above: a faithful, yet completely scaleable, recreation of the original Atari classic, right down to the original vector style imagery. Relive the earliest days of video games in their 8-bit glory, and see how long you can survive. Free Fish at 10,000 points! Click here to launch Fishteroids! in a new window. This entry was posted on Thursday, October 27th, 2011 at 2:00 pm. It is filed under Visual Application Development and tagged with ActionScript 2.0, Adobe Flash 8. You can follow any responses to this entry through the RSS 2.0 feed.